Playing a role in a Bollywood movie is the dream of thousands of Indians, and these non-actor celebrities are no different. With a popular background, which is distinct from the profession of an actor, here is a list of celebrities in India who tried their hands on acting in Bollywood. Ajay Jadeja: When it came to saving India, or taking an outstanding catch at outfield, cricketer Ajay always did a great job. The actor then was in the news when he featured in the movie Khel as a cute looking Rohan Poddar, with Sunny Deol and Sunil Shetty. Saint Dr. Gurmeet Ram Rahim Singh Ji Insan: Saint Gurmeet Ram Rahim Singh Ji Insan, who is known to have a multitude of talents in sports, singing and of course spiritual awareness didn’t remain far behind when it came to movies. He has acted in six movies in which he had written, directed and acted. But apart from that, very few of us would know that Gurmeet Ram Rahim has acted as a Pakistani informer in the movie Border. Himesh Reshammiya: Known for breaking records of legends like Kishore Kumar, the singer and music director Himesh Reshammiya made buzz when he stepped as an actor in movies, starring opposite Hansika Motwani in Aap Kaa Suroor. 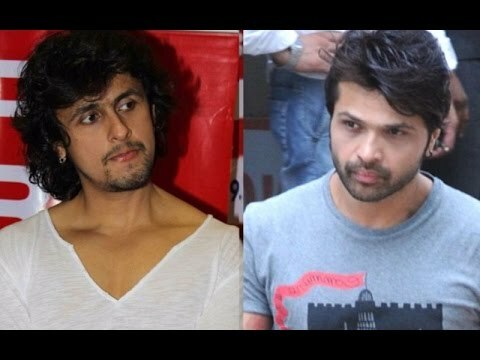 Himesh had thereafter acted in nine movies, with the latest Main Jahaan Rahoon expected to be released in 2018-2019. Hope it doesn’t get delayed due to his wedding. Sonu Nigam: As a child actor, Sonu Nigam had acted in Pyare Dushman, Taqdeer, Betaab. However, due to the poor working conditions for child actors at that time, Sonu started hating the work. As an adult, he later acted in a movie called Jaani Dushman: Ek Anokhi Kahani (2002), which he later said in an interview that he had signed it because Akshay Kumar had signed it. S Shreeshant: If you think Shreeshant was all about his mind blowing outswings, well, that’s not just it. Cricketer Sreesanth has been a part of a dance reality show, and has acted in a Malayalam film titled Team 5. He then made his way to act in Bollywood thriller Aksar 2 alongside Abhinav Shukla, Zareen Khan and Gautam Rode. The Great Khali: The Former WWE heavyweight champion Dalip Singh Rana, better known by his ring name – The Great Khali didn’t take much time to use his WWE fame to enter the big screen. Although Khali lacked the flair that The Rock had, his humongous size helped him feature in Bollywood and Hollywood movies. Prabhudeva: India’s Michael Jackson was given his first lead role by director Pavithran in the romcom Indhu in 1994. His ability to dance was fully utilized in the song sequences, and made his breakthrough as an actor with Shankar’s sophomore film, Kadhalan, where he played the role of a young student. Today, he has acted in more than 60 movies in the South and Hindi film industries, which is a great feat for someone who was known only for his dancing skills.